Our favorite dessert at Kona Grill is its passion fruit crème brulee. The mainland-based chain restaurant tries to add a tropical taste to its menu. Islander loves lilikoi (Hawaiian word for passion fruit) and indulges once in awhile in the custard with a crust of crackly burnt sugar on top. Now that she has learned how to make lilikoi crème brulee in her own kitchen, she makes these for fellow Hawaii expatriates. The passion fruit flavor reminds them of home. For a tropical twist to traditional crème brulee, infuse some passion fruit flavor and see why locals love the lilikoi in this delicious dessert. 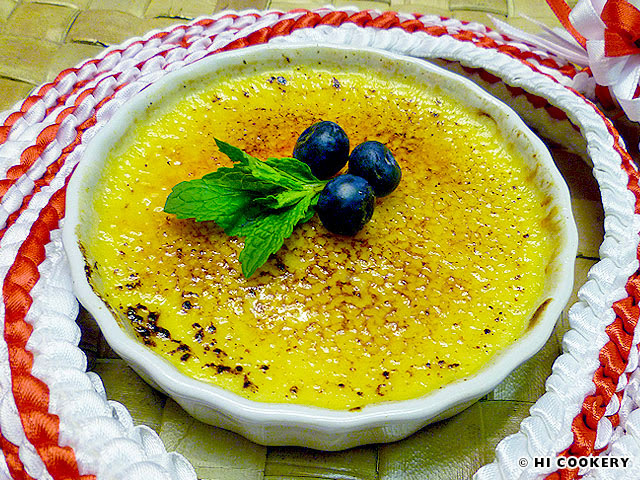 Make lilikoi crème brulee for a summer social or luau and especially for National Crème Brulee Day! In a microwavable cup or small bowl, stir the cream with the vanilla paste. Heat until hot (about 1-2 minutes). Let cool for about 10 minutes to infuse the flavoring. Boil a quart of water and set aside. 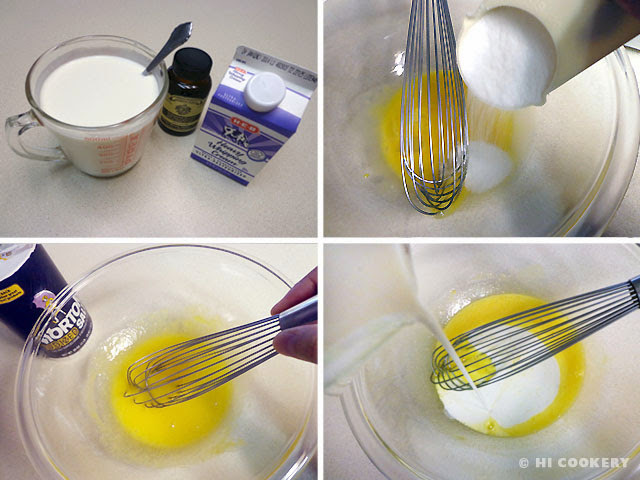 In a bowl, whisk the egg yolks with ¼ cup sugar and salt. Gradually add the cream mixture and continue whisking. Add the passion fruit liquid. Strain this mixture, if necessary. 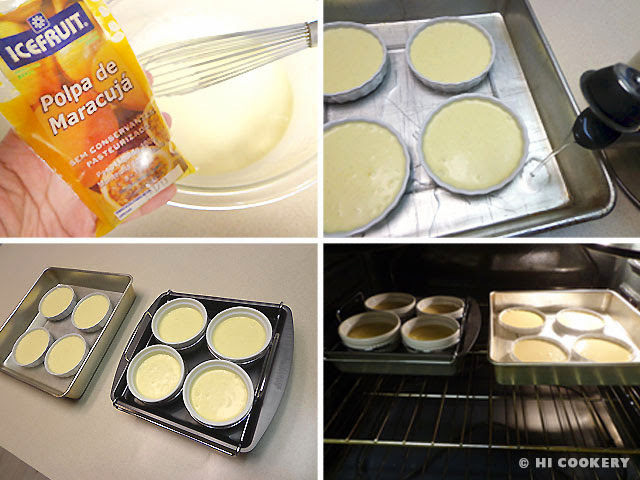 Put the mixture into custard cups or ramekins. Pour the boiled water halfway up the sides of the custard cups or ramekins to make a water bath. Bake in a preheated oven at 325 degrees F for 30-45 minutes, testing for doneness with a toothpick (it should wiggle gently). Remove from the oven and carefully transfer the ramekins to a wire rack. Cool for about 30 minutes then cover and refrigerate overnight. Before serving, sprinkle a thin layer of the remaining sugar on top. 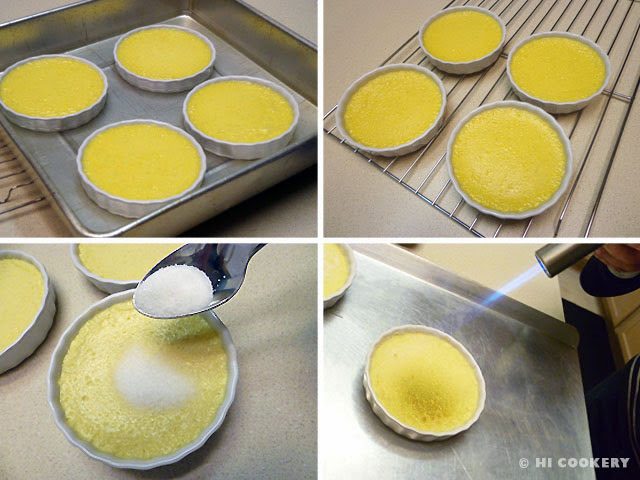 Carefully use a crème brulee torch in a back and forth or circular motion to caramelize the sugar to a crisp. Serve immediately while the custard is still cold and the sugar top hardens. Mahalo nui loa (thank you very much) to Phyllis S. for ribbon lei for the final food photo above. Mahalo also to Olga W. for gifting Islander with the crème brulee blow torch. 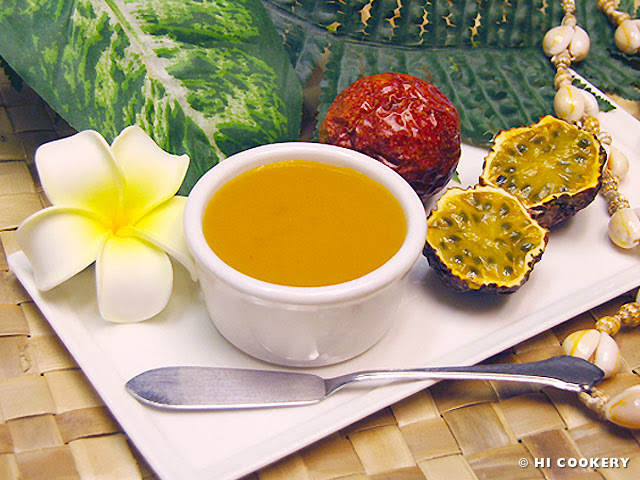 Search our blog for other recipes containing lilikoi (passion fruit) as an ingredient. Hawaii has a lot of aloha/love for St. Damien of Molokai. He is honored in the 50th state twice—on April 15, his death day, and on May 10, his universal feast day. The Belgian priest was comPASSIONate towards Hawaii’s “outcasts” (those afflicted with Hansen’s disease/leprosy) in the late 19th century. His sacrifice earned him canonization on October 11, 2009. In celebration of St. Damien’s passion and devotion to his ministry, we made passion fruit curd, also known as lilikoi butter in Hawaii. The recipe below is adapted from a cook book that Islander bought at the Damien and Marianne Heritage Center in Waikiki, Oahu, Hawaii. Proceeds from the sales of this cook book and other items at the heritage center go toward the museum and preservation of the history of St. Damien and Blessed Marianne Cope. Prepare passion fruit curd/lilikoi butter in observance of St. Damien Day. Aloha! In a saucepan over medium heat, melt the butter slowly (do not brown or burn). Add the sugar and the passion fruit liquid. In a mixing bowl, beat the eggs. 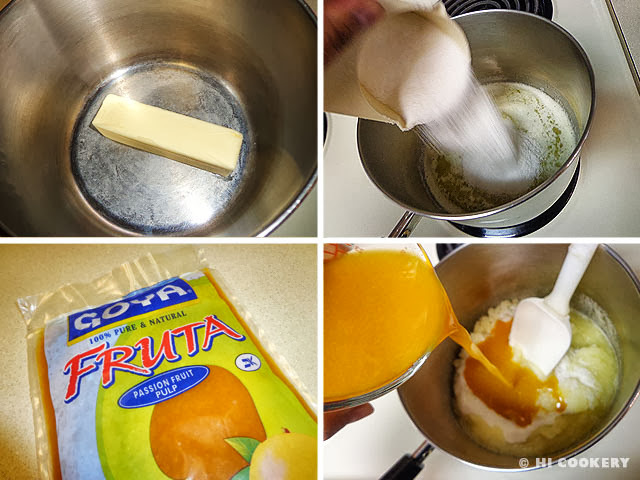 Add a drop of the passion fruit liquid mix to the eggs, stirring constantly, to temper them. Slowly pour the beaten eggs into the saucepan and keep stirring. Bring to a boil and cook for 10 minutes to thicken, stirring slowly and patiently. 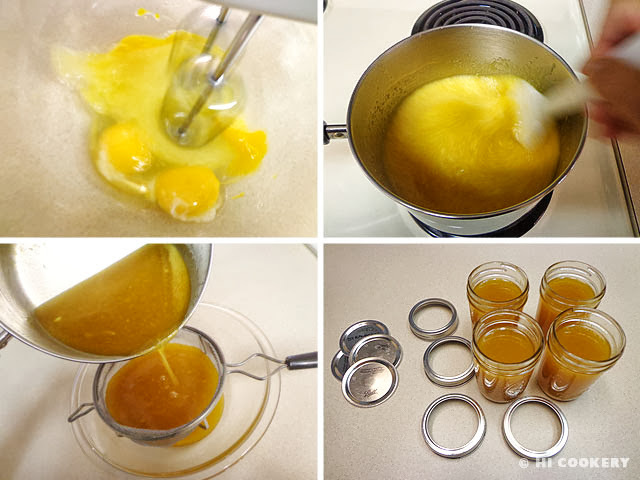 Strain any egg residue into clean jars. Cool to room temperature then refrigerate. Serve with toast or crackers. Other recipes include the passion seeds from the fresh fruit to give the curd a nice crunch. Learn more about the religious symbolism of the passion fruit flower at the Passion Flower Shop website. Make Molokai-Mainland Sweet Potato Palau as another recipe on St. Damien Day today or on his feast day on May 10.